Justice Navin Sinha was on 14th May 2016 sworn-in as the new Chief Justice of the Rajasthan High Court. Justice Sinha was administered the oath as the 31st chief justice of the Rajasthan High Court by Governor Kalyan Singh. Chief Minister Vasundhara Raje, along with several other cabinet ministers, was also present on the occasion. 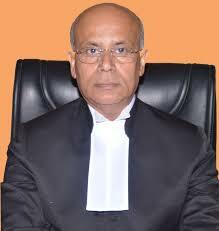 According to reports, Justice Sinha has been directed to assume charge of his new office on or before 23rd May.